You can see the white heat transfer paste I am using. This is necessary to conduct heat from material to material. 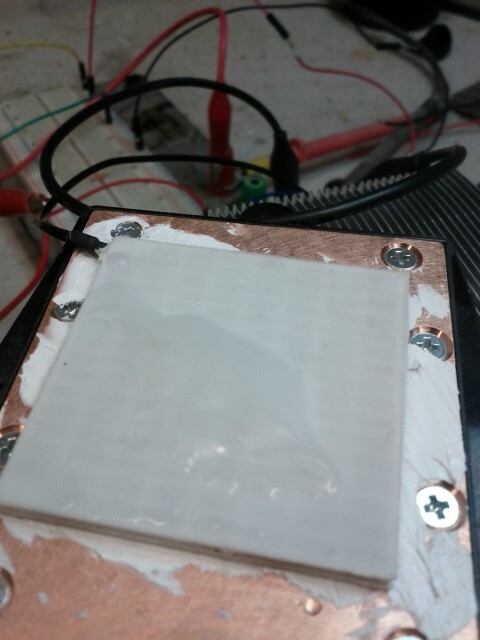 Also, you can see the water I placed on the cool side of the TEC has frozen.